The Columbia Gorge is the newest wine-making region in Oregon and Washington, with more than 22 tasting rooms and wineries. There are several winerieson Highway 14, west and east of Maryhill Museum of Art within a 15-minute drive. Maryhill Winery is 0.7 miles west on SR14 and has a large tasting room with scenic vistas plus an outdoor amphitheater for concerts. Cascade Cliffs Winery is 10 miles west on SR14. Marshal’s Winery is 13 miles west just off SR14. Waving Tree Vineyards is 5 miles east off US 97. Jacob Williams: 9.7 miles east on SR14. 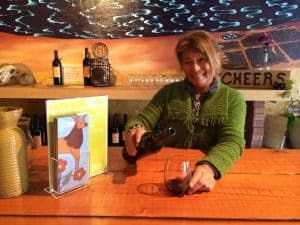 For other wineries visit Columbia Gorge Winegrowers; for guided winery tours, visit Hood River Tours. If you are still looking for something to do while in the Gorge, below is a listing of additional resources and attractions.